There are many ways to live a healthier life than you currently are. Besides watching what you eat, exercising regularly, and taking vitamins and supplements, there are other ways in which you can make small changes to improve your overall wellness. 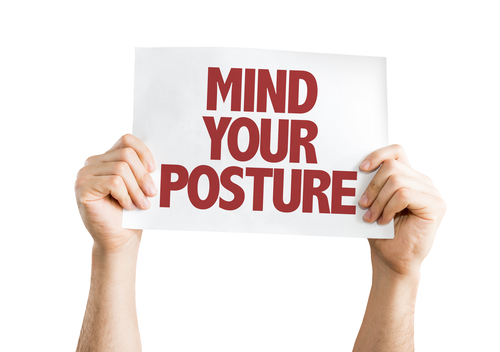 One of the ways that you can improve your overall health is by correcting bad posture. This article will explain several ways in which improving your posture can help to improve your overall health and well-being. Sitting up straight and not slouching can help to reduce back pain. At first it may feel strange to straighten your spine while sitting or walking, but over time you will get used to it and it will be like second nature. Not only will your experience less back pain but your neck will not be as stiff and sore either. Sometimes this is easier said than done. If you have a desk job, it may be challenging to sit up straight in your chair. There are some simple techniques that you can try to assist in your endeavor of improving your posture. The first idea is to sit towards the edge of your chair with your feet flat on the ground. This will force your back to be straight while you sit. If this does not relieve some tension, make a cognizant decision to get up every hour and go for a walk around the office. A short break will greatly improve your back pain. By fixing your posture, you can ensure that you have proper balance and strong muscles in your core, back, and pelvic area. These muscles are important as they are what hold your upper body up and assist in body movement. Posture can make a drastic impact on one’s bones and joints. Bad posture may result in sore and aching joints and malfunctioning bones which can cause the onset of arthritis. Good posture can help the body work properly and use less energy to compensate if there is a part of the body that is not working to the best of its ability. If you have proper posture during the daytime hours, chances are that you will have less body aches and pains after the workday is over. By feeling better and not having sore muscles, joints, or back pain, you can expect to sleep better and throughout the night. Many people complain of back pain, body aches, and arthritic pain. While people are challenged by these aches and pains, many fail to make changes to their lifestyle to help mitigate these negative attributes that they are currently living with. Surely the reasons in this article can help you see why improving your posture can have a number of positive effects on your overall health and well-being. Omitting back pain, increasing the quality of sleep you get, and strengthening your muscles, are all ways that improving your posture can lead to a better and more satisfying life. Excellent blog. Well written very informative.